RUSH: Now, moving on to Twitter. James O’Keefe, Project Veritas… You know, we’ve had O’Keefe on the phone here before, but I met him three weeks ago. He was down here in early January, middle of January. There was a conference. What was it, three? (interruption) Turning Point USA. How many kids were there? (interruption) There were 3,000 student activists. It was actually over at West Palm Beach, and this is a group that has been put together and operates under the auspices of Charlie Kirk, right? Who is a… You’re gonna be hearing that name if you haven’t. 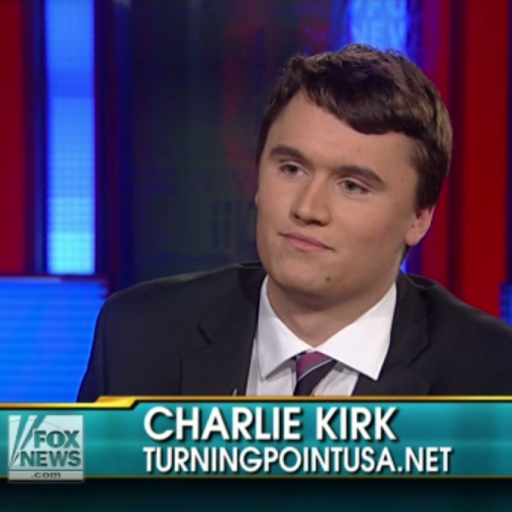 He’s an up… Charlie Kirk, let me just tell you. Let me just tell you. I don’t want to jinx him. But I’m just gonna tell you. They brought Charlie Kirk to the golf course to meet me about a month ago. He was in town to set up this Turning Point thing, and they brought him to the golf course to meet me. It was during… We were getting ready for a 8:45 a.m. start, and they brought him out while I was getting ready to go to the range and loosen up, and I spoke with him for about a half hour. He told me how he grew up in a home where my program was on all the time. He was just effusively complimentary to me — which I, of course, understood and told him he’s very wise. His family’s very wise. He chuckled; he laughed. This is the kind of guy that, you know, you can see really becoming big in politics as he gets older. He just has the carriage, the personality, the charisma. You may think this sounds weird, but I remember when Bill Clinton became president. There were all of these stories about Bill Clinton at Oxford and Bill Clinton at Yale and Bill Clinton here and all these people that went to school with him. There was story after story after story where people were saying that they just knew Bill Clinton was gonna be president someday. In college! He just had that kind of ambition, and he impressed people in a way that he could. Peggy Noonan even told me this. Peggy Noonan went to one of these weekends the Democrats do before we concocted it for ourselves, the Restoration Weekend that Horowitz does. The Democrats had one of those long before we did, and Peggy Noonan went to one. And this is before 1992. This is before Clinton got the nomination. She came back extolling this guy’s virtues to me, the governor of Arkansas. Of course, I was kind of leery ’cause here’s Peggy, a supposed conservative, singing the virtues of this Arkansas Democrat governor. In fact, that was the first time I had heard anything significantly positive about Clinton. It was from her. I’m telling you, people are saying the same things about Charlie Kirk. Well, anyway, they had this big… What was I saying before I got into the sidetrack? (interruption) Oh, that’s right. O’Keefe was in town for the Turning Point USA thing and he asked to come by and say hello. I’d only talked to him on the phone. I had not met him. So he came by and he told me… He didn’t give me any details but he said, “In a few weeks, we’re gonna be blowing the door down on Twitter,” and he wanted to talk to me about how you deal with being the target for destruction. He wanted to know the best ways to deal with people trying to wipe him out. Well, anyway, he released the tape and the accompanying transcript, the secret tapes that he had made with current and former Twitter employees. And he has indeed blown the place up. Now, I knew a lot of this, because I’ve had to learn it to deal with the way Twitter was involved in something called the Stop Rush movement. Briefly, I’m hesitate to talk about this because it gives people ideas, but we’ve found our way around it. On occasion our advertisers will be swarmed with emails claiming to be sent by customers who are never going to patronize this sponsor again because of something I said on the radio. And we had to come up with ways of defeating this, because we knew it wasn’t true. We knew it was bogus. We’ve had enough experience with this over 30 years to know that these are organized campaigns. But we had to come up with evidence to show people that we’re being harassed, and we did. And the most recent iteration of Stop Rush, here’s what we found. 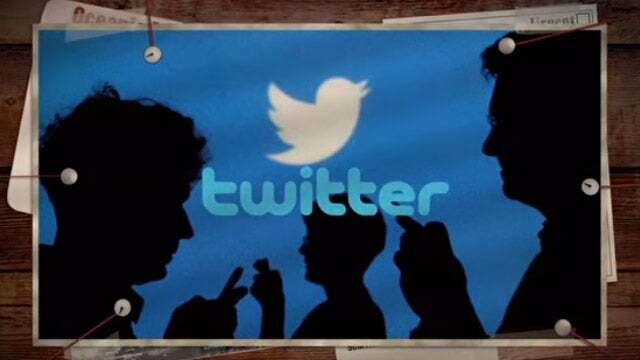 There were 10 people who, using algorithms with the assistance of Twitter, with the assistance of Twitter management, were able to make themselves appear to be tens of thousands. It was just 10 people. And they were writing the same basic complaint email but changing the name of the station, changing the location they supposedly lived in, changing to some extent the nature of the complaint, but it was basically a boilerplate thing. It was basically bots that were sending these things out in droves. So we have a really, really sharp guy on our staff who began tracking all this down. We found these 10 people. We found out who they are. We know where they live. We know their names. Some of them are in New York. Some of them are in southern California near Camarillo, California. Many of them are retired college professors. And they are paid activists. Many of them are working under the auspices of professional organizers like that Robert Creamer guy or Media Matters for America. But the point is, it was 10 people using algorithms and bots to make themselves appear to be tens of thousands who hated me. So it took us about six months to track this all down, and we did. And we were able to demonstrate to all of these advertisers that 90% of these complaint emails that they were getting were being sent from people who had never been their customers and didn’t even live in the state. We had to be able to show the advertisers and the sponsors and other associates this was all bogus. ‘Cause people don’t want to put up with this garbage. Then they tried this on Hannity. They tried this on O’Reilly. They try it with all of us. But we found out who they are. And we have shared our data with people, and they’re free to use it or not. So I wasn’t surprised with the revelations that O’Keefe uncovered here about Twitter. Anyway, we successfully beat it back, as we beat back all of these things. Point is, they’re always potentially at the ready to unleash. But it really was helpful to be able to identify the individuals doing it and their pictures and being able to show everybody involved just who’s doing this and their resumes and where they taught, their political activism, some of the things they’ve published on the website themselves that make them appear as they are, literal leftist wackos. So O’Keefe’s videos that he released, the secret videos that he made while talking to current and former Twitter employees, one Twitter engineer, Steven Pierre, explains shadow banning. And you can see the video at Project Veritas’s website. I just want to highlight some things. The video takes about 15 minutes to watch. Shadow banning, according to this Twitter engineer, says it’s gonna be basically a way to ban a certain kind of talking or certain kind of speech. But the thing about shadow banning is — and this comes from another former Twitter software engineer — the users just think no one’s engaging with their content, when in reality no one is seeing it. So if you’re the victim of shadow banning and you’re tweeting, you tweet up a storm. You tweet this, you tweet that, and your Twitter page reflects everything that you’ve sent. What you’re not seeing is anybody replying to it. So you think, “Well, something’s up here. Why is nobody engaging me? Why is nobody replying?” The reason is, nobody is seeing it. You have been banned. By virtue of a shadow ban. You just don’t know it. So what do they use to shadow ban people? Well, O’Keefe got them to admit Trump, conservative, Republican, said they have about 5,000 — get this, Snerdley — 5,000 keywords to identify a redneck. Five thousand keywords, that if any word that tweet matches one of these 5,000, that tweet gets shadow banned. Of course, what’s a redneck? Well, a redneck is a Southern conservative hayseed pro-lifer who loves guns. Guns is another thing that shadow bans you. “Christian.” Anything pro-Trump. It’s not a blanket ban on everybody, but it is a policy that Twitter has that various engineers have implemented. A former Twitter content review agent explains the banning process. “If it was a pro-Trump thing and I’m anti-Trump… I banned his whole account.” It’s at the discretion of the Twitter engineer, of the Twitter monitor. So there’s no official written policy on this. It’s word-of-mouth from management to Twitter monitors, and the Twitter monitors are essentially free, if they see something pro-Trump that they don’t like, that they disagree with, and if they happen to be anti-Trump, they can shadow ban the user. Olinda Hassan, Policy Manager for Twitter Trust and Safety, said, “We’re trying to ‘down rank’ [really bad] people to not show up. We’re working on [that] right now.” Well, what constitutes really bad people? Well, it’s whatever the individual Twitter monitor or engineer thinks is a bad person. And if they’re anti-Trump and pro-left and pro-Obama, then you can guess what a really bad person is gonna be. “‘Shadow banning’ to be used to stealthily target political views,” a former Twitter engineer says, “That’s a thing.” That actually happens. Shadow banning is used to stealthily target political views we don’t like. They also use machine learning, which means algorithms, which distances human beings from executing this, but it’s a fascinating, fascinating tape, at Project Veritas. You do? Do you have any idea how many people do? And direct message is just private between you and the DMer that you’re talking to, right? It’s not public like your tweets? (interruption) “Supposed to be private.” Well, this guy’s admitting that they’ve got all of ’em. This guy… Well, only stands to reason. I mean, Twitter keeps everything. In fact, what is the story I saw? Somebody was gonna buy the pipe, the network connection that get all the Twitter stuff? That’s not right. I’m having a… I’m remembering 30% of the story. “Twitter responded to the video with a statement shortly after that release, stating ‘the individual depicted in this video was speaking in a personal capacity and does not represent of (sic) speak for Twitter.’ The video released by Project Veritas today features eight employees, and a Project Veritas spokesman said there are more videos featuring additional employees coming,” that this barely scratches the surface of what they have coming from Twitter. One of these videos was made on January 3rd at a San Francisco restaurant.